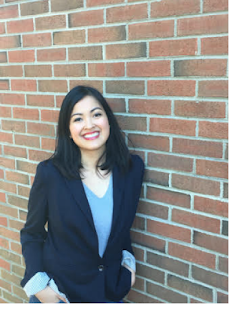 BLOG TOUR | Forest of a Thousand Lanterns by Julie C. Dao Q&A + GIVEAWAY! Hello everyone, welcome back to the blog. 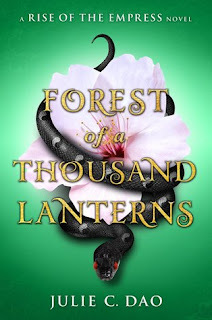 I know I'm really lagging on these blog posts but trust me, I have some fun stuff coming up in the next few months starting with this blog tour featuring Julie C. Dao's debut novel, Forest of a Thousand Lanterns. I was lucky enough to have interviewed Julie thanks to Penguin, and I just think her answers are interesting to read. FOTL was unique in the sense that I had never read a book with an 'evil' or villainous type character. This is not a female heroine story, in fact, we meet a character who has quite malicious and spiteful intentions. Reading about how Xifeng clawed her way to her destiny was a thrilling and intriguing ride, one I hope you all decide to take part in. I'm so honored to kick off this book's release with a Q&A from the one and only Julie C. Dao. 1. A lot of authors spend time planning what they want to include in their book before they start writing the book. Was there anything you knew you wanted to include in A Forest of A Thousand Lanterns before you even got into actually writing the book? I knew I wanted it to be a reimagining of Snow White that was completely original and like nothing I had seen before in YA, but still held on to elements of the old fairy tale. So there had to be a magic mirror, an apple, a stepmother/stepdaughter dynamic… even if I twisted these concepts to fit my own purposes! I had to find ways to make the reader still recognize the inspiration behind the story, to ground them in the fairy tale feel, but at the same time make the elements my own so FOTL would feel fresh and new. 2. What’s more important to you when it comes to writing fantasy, the plot or the characters? Is there another attribute of writing you think aspiring fantasy writers should focus on? Both plot and characters are important, of course, but I think when it comes fantasy, world-building is right up there on the list as well. The world needs to feel real to the reader, even if it has fantastical and magical elements. There need to be laws, rules, and a shared history between the lands of a fantasy world, just as there are in the real world. As a big fantasy reader myself, I love it when I feel like the world of the book is a place I can go. 3. Let’s talk about diversity! Can you recommend some of your favorite fantasy books written by Asian authors/include Asian characters. I read ASH by Malinda Lo many years ago and loved her compelling F/F version of Cinderella. The prequel, HUNTRESS, is another fantastic read. I picked up SERPENTINE by Cindy Pon at a book festival last year and it was my gateway to everything Cindy has ever written. It’s a gorgeous fantasy rooted in Chinese mythology with a brilliant female friendship at its core. Recently I bought the Dragon King Chronicles trilogy by Ellen Oh, which is set in a fantasy world inspired by Korea and starts off with PROPHECY, and I cannot wait to read it! 4. Congrats on the publication of your debut novel! I know it’s probably too soon to ask, but your readers are dying with anticipation. What are your plans for book two in the Rise of the Empress series? Any mythical creatures you couldn’t put into book one but have saved for the sequel? Thank you so much! This is so kind! I've always intended for the Rise of the Empress series to be a duology, and for FOTL and Book 2 to be two halves of the same story, with two different women telling it. So you'll see a brand-new main character narrating Book 2. The format is also quite different and you'll get to visit different lands throughout Feng Lu. There is also more magic and mythology, and folktales play a crucial part in the plot. I can't wait to share it with you! Julie C. Dao (www.juliecdao.com) is a proud Vietnamese-American who was born in upstate New York. She studied medicine in college, but came to realize blood and needles were her Kryptonite. By day, she worked in science news and research; by night, she wrote books about heroines unafraid to fight for their dreams, which inspired her to follow her passion of becoming a published author. Forest of a Thousand Lanterns is her debut novel. Julie lives in New England. Follow her on Twitter @jules_writes. Thanks for the interview. I can tell that this author really knows how to be true to her readers and knows fantasy well. World building is extremely important as I feel cheated if the world the author creates doesn't feel believable and real to me. Exactly! I'm so glad I got to do this interview as the author is such an interesting person.